Collectively,the chapters in this volume illustrate how current archaeological research on the Near Eastern Neolithic helps us understand the economic and political contexts from which food production emerged, and the pathways and archaeological evidence for social differentiation in early agricultural contexts. Ultimately it is at the intersection of these different, yet clearly interrelated, questions of how and why social differentiation was minimized, how power and authority were ceded to groups, and how social differentiation in precomplex chiefdoms emerged from within an egalitarian ethic, that the importance of the archaeological study cf the Near Eastern Neolithic becomes clear. 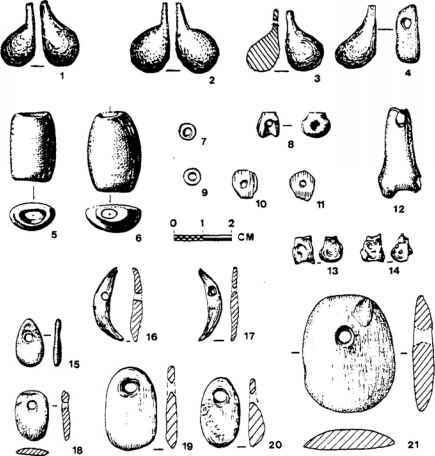 In many ways the examination of the Neolithic of the Near East provides us with a unique opportunity to explore these questions, for it combines many of the important elements widely perceived to be important in later complex chiefdoms: increased population aggregation, food production, abundant surplus subsistence, and economic resources coupled with the social need for maintaining existing social frameworks in rapidly growing communities (e.g., Bar-Yosef and Belfer-Cohen 1989; Bar-Yosef and Kislev 1989; Cauvin 1994;Hayden 1995; Price 1995). Modeling the origins of agriculture in the Near East, changing Late Pleistocene environmental conditions, and the geographical and temporal location of the first domestication of plant and animal species continues to be widely perceived by the professional academy as being central to our understanding of the past (e.g.,Braidwood and Braidwood 1953;Hillman and Davis 1990; McCorriston and Hole 1991). In conjunction with this recognition is a growing awareness that the Neolithic was also an important social process, one in which we see a remarkable increase in global population levels, the first appearance of large villages occupied on a year-round basis, and some of our earliest evidence for social differentiation. As to be expected, collections such as this one are bound to raise more questions than they answer, for that is both the beauty and horror of such debate: with more detail we are drawn even deeper into the search for greater understanding. This volume, for example, leads us toward other important aspects to the changing nature cf social relations in the human past. Does the process of social differentiation occur through the actions of charismatic individuals, as is commonly held, or did this process originally focus on a group of people?What were the social, economic, and political loci for such changing social arrangements? How was the process of changing social arrangements linked to that of ritual beliefs?Needless to say, the archaeological and anthropological exploration of these topics is in its infancy and, beyond pointing out that none of these processes need be mutually exclusive to others, it is important to recognize that the preliminary examinations of some of these questions by the researchers in this volume represent an important line of study. To return to Winterhalder's image of the prickly porcupine, this volume presents a juggling act that complements our rich and still developing awareness of the economic side to the emergence of social inequality in precomplex chiefdoms.